Who is this masked man?! 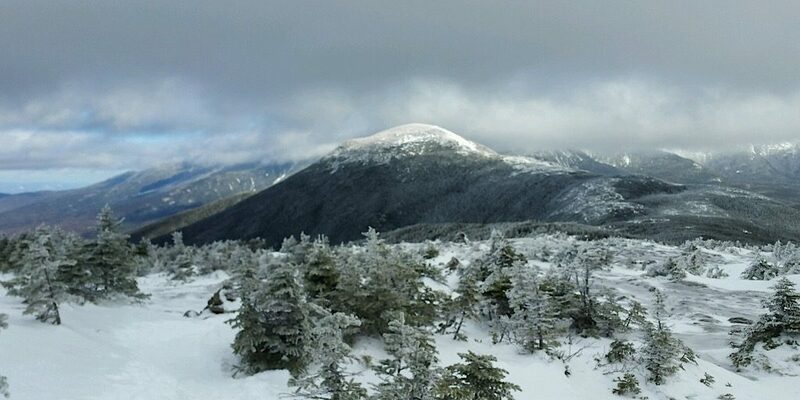 Monday was cold and breezy at higher elevations, but what a beautiful day it was. Clear under partly overcast skies, sun and blue skies in the distance, simply stunning. 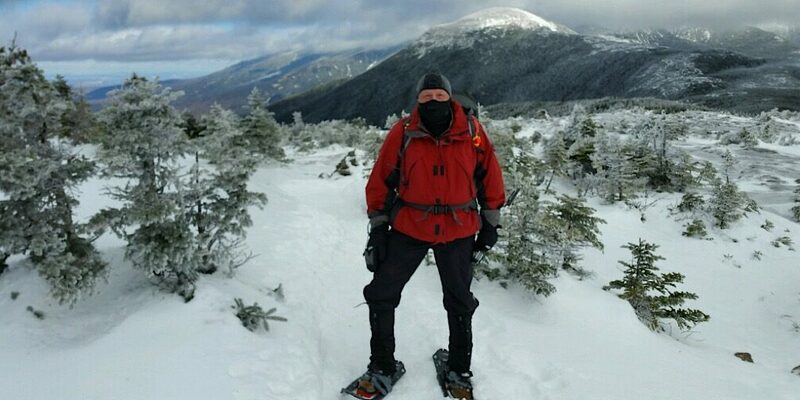 And what a great day to be hiking in the Southern Presidentials. That’s where Redline Guide Jeffrey Shutak was. 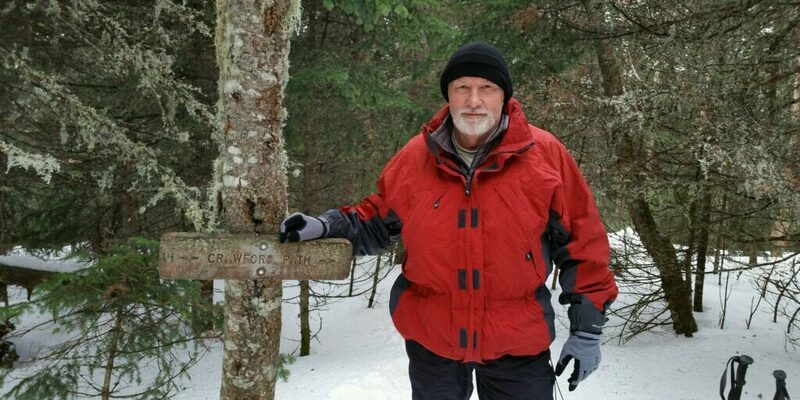 He was leading one gentleman, Gary from West Virginia, to the summit of Mt Pierce (4312′). 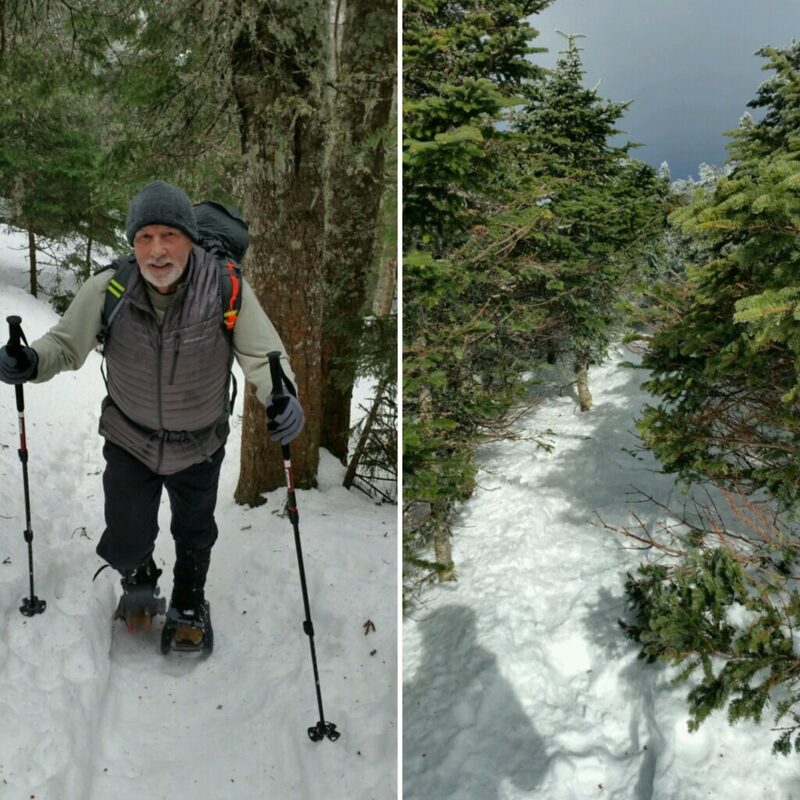 The plan was originally to go for Mt Washington, but the wind forecast suggested that’d be nuts so they “settled” on the lesser but safer Mt Pierce, which ended up being a fantastic compromise offering Gary many firsts. The day actually began at Jeffrey’s house in Intervale, which he operates as a parttime B&B. This is noteworthy because this sure did make the morning meeting go smoothly, even having gone over gear the night before. Talk about convenience. For breakfast they went to the Sunrise Shack, one of the Redline Guiding favorites. Once fueled, they drove to the Mt Clinton Road parking lot opting to go in that way. 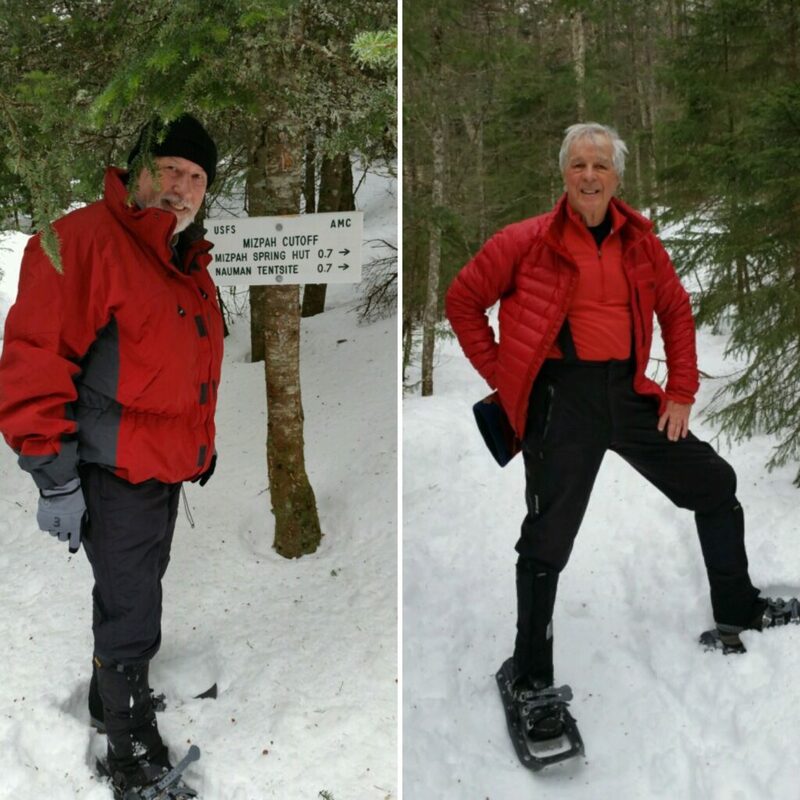 The trail was completely broken out, but the pair wisely opted to wear snowshoes right from the start to prevent postholing later. That often makes the most sense — beats carrying them. They made steady progress, stopping at the Mizpah Cutoff for a break, then again at treeline to prepare for their alpine encounter. Gary seems very happy to be there. Gary to the left, Redline Guide Jeffrey to the right. Both look sharp in red! “Gary said later that although he had climbed some of the higher peaks in the USA and South America, he had never experienced wind and weather like that. He also said in spite of hiking everywhere this was the best hike he ever did,” Jeffrey reported. 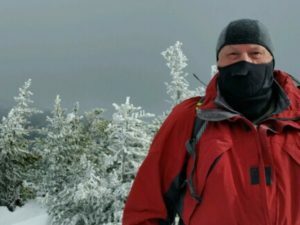 He also added, “Gary experienced a number of ‘firsts’ on this hike: first time on snowshoes (he liked it); first time in this type of weather; first time wearing his facemask (we supplied a Ready Pack but he had some of his own stuff), and first time he used hand warmers. All-in-all he was one satisfied guest.” That’s what we like to hear! Gary is experiencing a number of firsts at this point. We are happy to accommodate. In the background is Mt Eisenhower. Next? Congratulations on the successful summit, Gary. Well done, Jeffrey.